In this model, justice comes about when “involved consumers” can freely and conscientiously trade with people who provide the goods and services they want, unfettered by corrupt or inefficient regulations. Governments have little interest in satisfying consumers’ desires for food that is “good,” either in taste or in conditions of production. Fair trade logic assumes that by permitting more consumers to make more “free” choices to direct their dollars to the makers of “good” food, consumer desires and producer needs will both be met. Importantly, fair trade envisions justice as voluntary. The consumers to whom Rice addresses his message make the choice to buy “good” food. In the case of Darjeeling tea plantations, where I have conducted fieldwork as a cultural anthropologist since 2006, fair traders’ dismissal of the state’s role in ensuring agricultural justice is profoundly misguided. As many of the readers of this magazine know, fair trade certification encompasses diverse agricultural contexts — from the coffee cooperatives of Central America, to which many contemporary fair traders trace their activist roots as solidarity workers, to the post-colonial tea plantations of South Asia and Africa. There is much debate over the ethics and efficacy of the extension of fair trade to plantations, and I and others continue to be actively engaged in that debate, but fair trade at any scale or location continues to be depicted as an “alternative” to conventional trade. And this alternative can include producers of any crop, from anywhere in the world. Owners of fair trade-certified tea plantations in India are not motivated only by their personal desires to conserve the environment and ensure the well-being of laborers. The provision of the basic social and environmental goods that fair trade organizations and advocates see themselves as underwriting are, in fact, already mandated by Indian labor law. The government of then-newly independent India enacted the Plantations Labour Act (PLA) in 1951 to protect workers from mistreatment at the hands of plantation owners. This legislation was driven in part by the active presence of labor unions in Darjeeling, Assam, the Dooars and Kerala, independent India’s major tea-growing regions. The PLA’s tenets also drew upon wartime best practices established by the Indian Tea Association. Today, the PLA continues to guarantee plantation workers’ social welfare, mandating that owners provide workers with housing, health care, food rations, firewood and schooling. The PLA makes a plantation’s moral economy — the reciprocal relationships between labor, management and the plantation landscape — into a matter of state concern. During the period of my fieldwork, many planters sought to “update” what they saw as “irrelevant” sections of the PLA, namely the aforementioned social welfare clauses. Many owners saw these provisions as “social costs” that they were unfairly expected to pay. Members of the Darjeeling Tea Association (DTA), the plantation owners’ industry organization, lobbied the central government to rewrite the PLA so that they would no longer have to bear these costs. Owners contended that workers should provide these things for themselves. As DTA members fought against paying “social costs,” they also sought fair trade certification in order to open new markets for their tea. In a stinging paradox, owners gained the attention of fair trade certifiers because of their adherence to the PLA, even as they foresaw fair trade programs as a method for justifying the very same law’s rollback or repeal. Fair trade certification was an effective and lucrative means of reaching U.S. and European markets. With its promise of higher prices, it provided, at worst, a means for subsidizing the social costs of the PLA and, at best, a reason for doing away with the PLA altogether. Fair trade plantations and marketers alike contend that fair trade premiums adequately provide workers with basic necessities. Fair trade “success stories” — stories about workers’ lives improving, thanks to the premiums provided by certification — appear frequently in Web sites and other promotional materials. Descriptions on fair trade tea boxes and retail Web sites make lofty claims about how fair trade has provided pharmacies, money to finance weddings and funerals for laborers’ families, additional housing and roads — all of which India’s PLA already mandates. 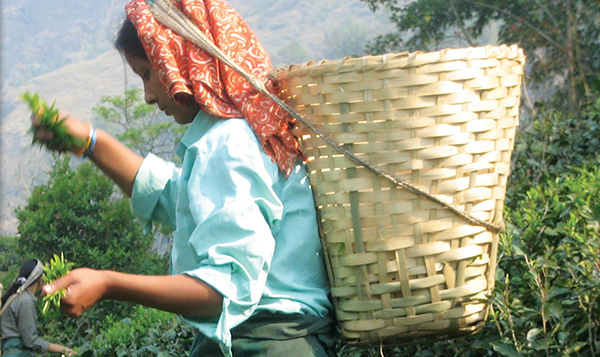 So, what is fair trade doing for Darjeeling tea plantation workers? That is a complicated question, but the short answer is: probably not what the packaging and marketing materials describe. Even wages on Indian plantations are set through state-regulated wage agreements, and fair trade cannot affect workers’ monetary earnings either. If anything, a movement as broad and powerful as fair trade should work with state institutions governing labor, trade and agriculture instead of promoting a placeless, one-size-fits-all model of justice. Posted in Fair Trade, Fair Work, Issue 9, Voices of Fair TradeTagged Fair Trade Plantation?